German hot chocolate - This is at the bottom of the list because I can pretty much only have it once a year. It is so thick and rich, not something I could consume often, but it is so good. Imagine eating a melted chocolate bar, that is German hot chocolate. Hot apple cider - I love apple cider cold or not, but a warm mug of apple cider is the perfect "I want something warm but not caffeinated or chocolate" drink. Mexican hot chocolate or latte - They always say adding a bit of spice to chocolate brings out the flavor and this is a prime example of that. If you've never had it, it's tastes how it sounds, a spicy (in a good way!) chocolate flavor. 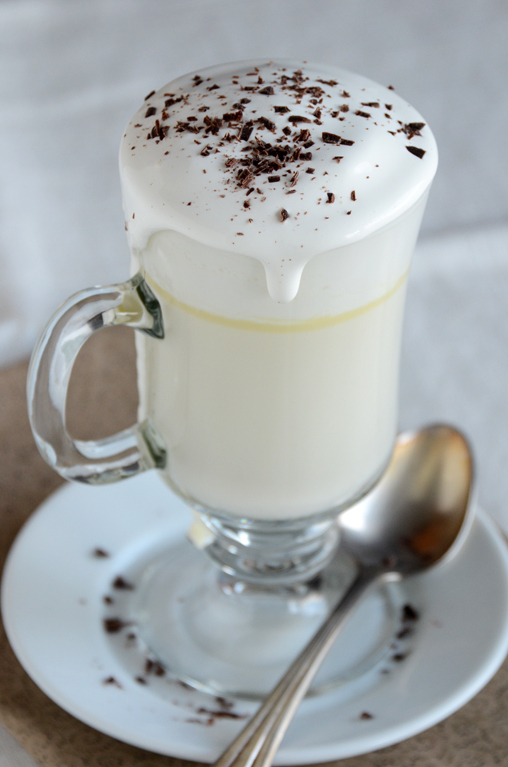 White chocolate hot chocolate - sweet, creamy, awesomeness. Pumpkin Spice Latte - this is my official "this is fall" drink. I'll get it from Wawa, Starbucks, 7-11, the neighborhood coffee shop, pretty much anywhere. I also purchased some pumpkin spice coffee k-cups for my Keurig brewer so I don't always have to spend money to have my pumpkin spice fix. What are your favorite warm beverages of the season? I like your hierarchy...I must try Mexican hot chocolate this season!